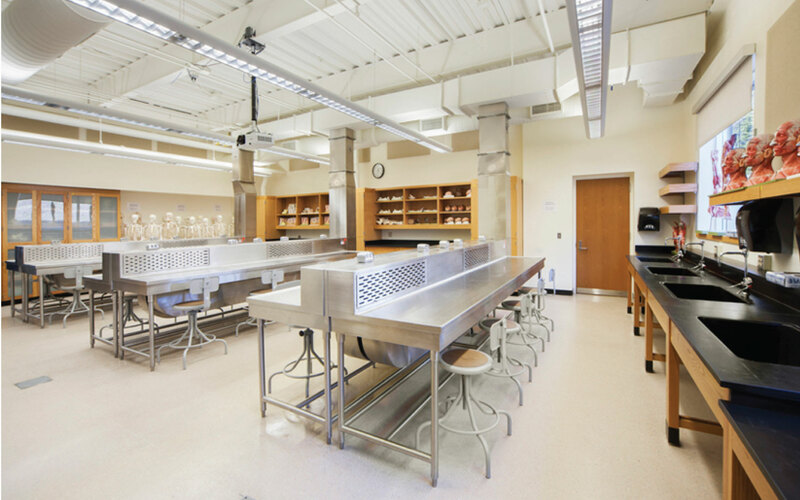 Conversion and renovation of three (3) existing 1,180 sf Science Labs from Organic Chemistry and Physics Labs to a new A/P Lab, General Chemistry Lab, and a Biology Lab. 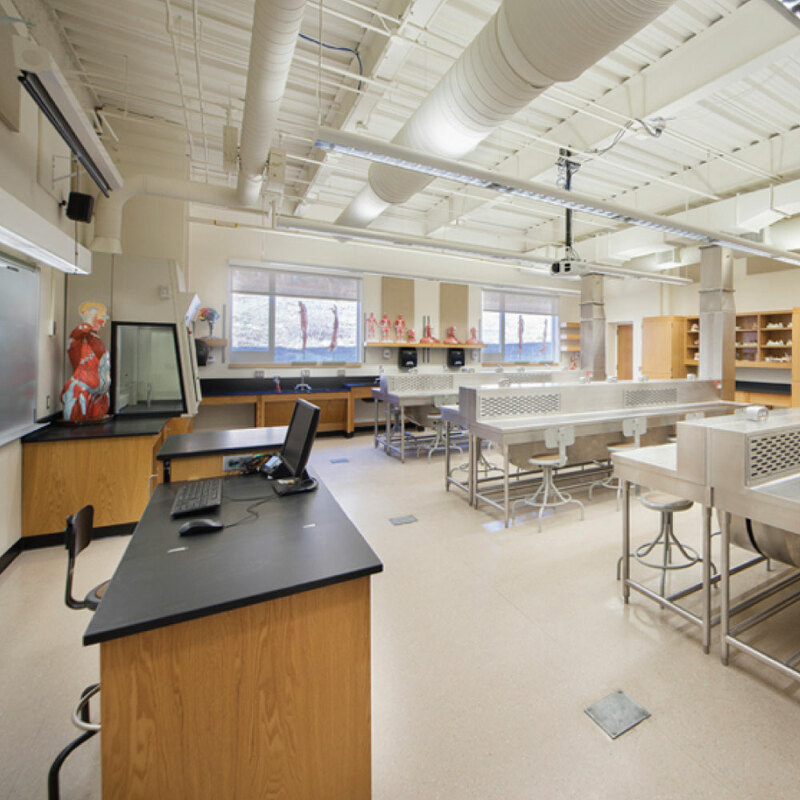 We provided architectural designs, lab layout designs, and full MEP services. 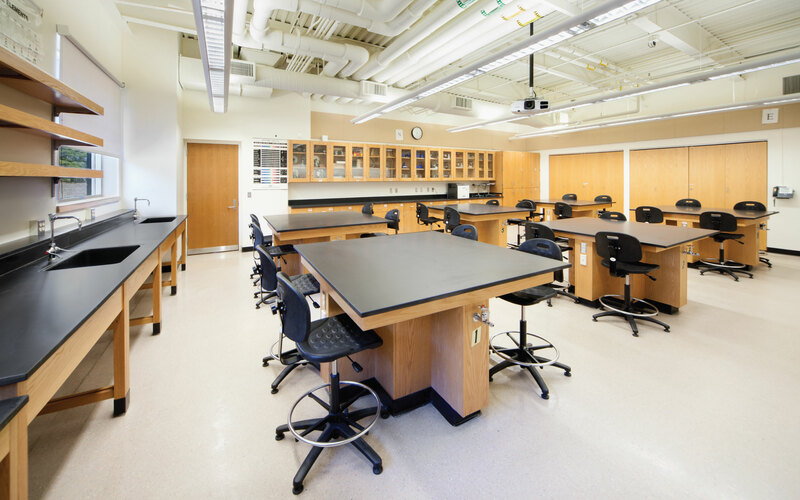 Rooms were renovated over the course of the summer of 2015, including general demolition of interior finishes and fittings, modification of existing utility services to suit the new conditions, provision of new lab stations and fume hoods, and stainless steel backdraft ventilated dissection tables in the Biology Lab. 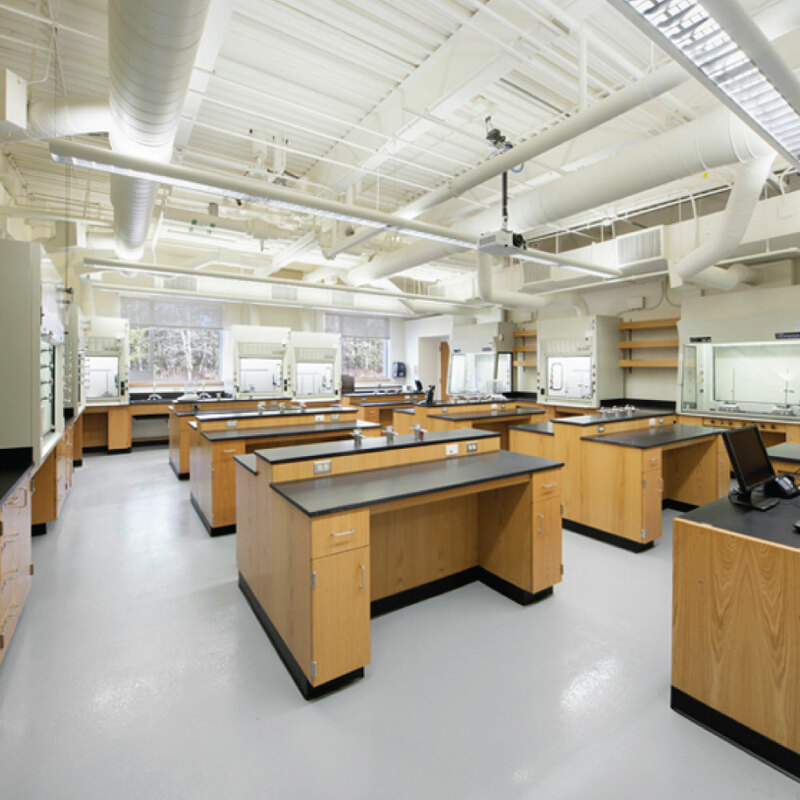 Renovations also provided ADA Accessible work stations and fume hoods in each renovated lab.